Former Quinnipiac Bobcats captain Connor Clifton ('17) has signed an American Hockey League contract with the Providence Bruins as first reported by Mark Divver of the Providence Journal. Clifton, a 2013 5th round draft pick by the Arizona Coyotes elected free agency instead of coming to terms with the Coyotes. 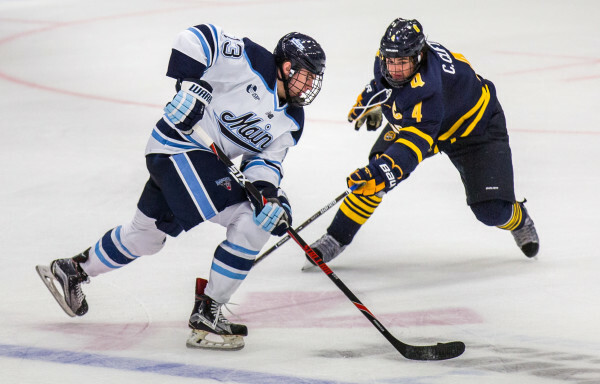 In 4 seasons for the Quinnipiac Bobcats He had 19 goals and 37 assists in 156 games played while helping the program reach three NCAA tournaments including the 2016 Frozen Four. He will give the Providence Bruins a right shot defenseman with skating ability who brings physicality to the blue line. This is a solid pickup for the baby Bruins and someone that possibly could get an NHL deal with the big club in Boston down the road with continued development.